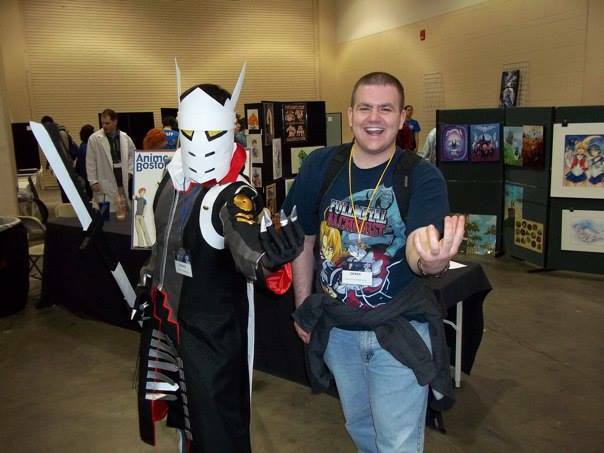 Having never gone to an anime convention before, I didn’t really know what to expect. From what I read online, I figured there would be plenty of people in costumes, fun panels, lots of laughs, and cool things available for sale. What I didn’t expect was the sheer scope of it all. Held in the Hynes Convention Center and on a few floors in the Sheraton Hotel next door, I knew that this was going to be a big thing. But even with that mindset, I don’t think it was possible to prepare for just how big the convention truly was. When my younger brother and I first got there on Friday morning, the line for bag checks to get into the Hynes stretched from the convention center, through the mall, and halfway into the Sheraton’s lobby. Picture that for one second. I’ve seen shorter lines to get into DisneyWorld. I didn’t know I was going to go to the convention until a few weeks before, so I knew I wouldn’t have a costume. I didn’t think that not having one would make me stand out more than if I had. But enough about that—what about the convention itself? Our first stop was Artist’s Alley, which ended up being our favorite location in the convention. Artists come from far and wide to sell their work, and the sheer amount of talent on display was incredible. My brother and I spent easily over an hour the first time through, gawking at all the artwork. We joked with each other that we had absolutely no willpower, and it was true enough. I tried to hold off on blowing too much cash on posters, but it wasn’t long before I stuffed a few in a bag. I tried to tell myself to hold off buying anything before checking out the Dealer’s Room, but some just hit me and I couldn’t say no. I’m a sucker for anything FullMetal Alchemist. The Dealer’s Room itself was the size of two Artist’s Alleys, with people selling everything from wall hangings to mangas to DVDs to plushies to pillows. I don’t think I ever geeked out so hard in my life. If there were any complaints, it was that the lines on Saturday were simply ridiculous. I was unable to get into the Attack on Titan premiere because showing up 55 minutes early was too late. To make matters worse, I was there an hour and fifteen minutes early, and no line had formed. My brother and I decided to roam a bit beforehand, and when we go back, the line snaked around the hallway. We got in line, and watched as the line itself continued to snake, until it wrapped around both sides of the hallway and circled back to the door. But we did spend a lot of time in the gaming room instead. And developed a new appreciation for AMVs, or Anime Music Videos. But, above all the else, there was just an energy to the whole convention. Everyone loves this stuff—they love reading it, watching it, dressing up in it, and talking to others about it. That love is infectious. I was never the biggest anime fan, but my watch list has expanded exponentially since attending the convention. It was impossible to wipe the smile off my face. 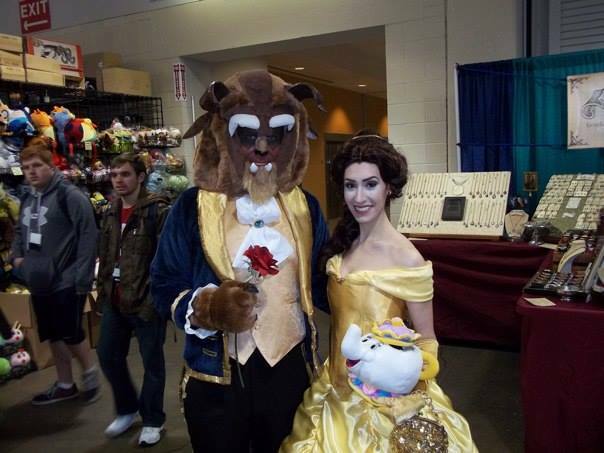 Have you been to a convention like Anime Boston? Did you have a similar experience? 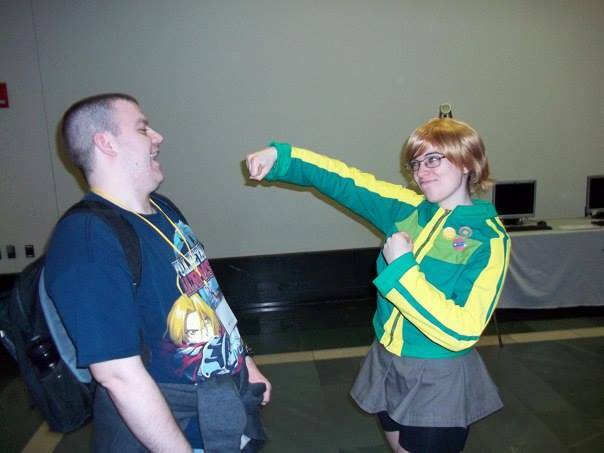 I’m glad you enjoyed your first Anime Boston! I was really impressed with the convention this year and thought that it was really top quality. The Attack on Titan premiere did fill up extremely fast but I was lucky enough to get a seat and it was great! Hopefully you’ll come back next year!